It is obvious that the products from the sea are very plentiful and delicious in Hokkaido. Also, everybody knows that the sushi restaurants are all top-class. In such circumstances, the popular one is actually the Conveyor-belt sushi. 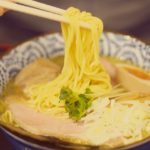 There are many Conveyor-belt sushi restaurants which make people say, “The food is more delicious than the one at the general sushi restaurants!” I’m introducing the 10 carefully selected famous restaurants. When you visit Hokkaido, please try them all if you can. 1. There are no complaints about the ultra-fresh larger toppings! Speaking of the Conveyor-belt sushi in Hokkaido, try the [Conveyor-belt sushi, Toriton Maruyama-ten]. The popular [conveyor-belt sushi Toriton Maruyama-ten] is located in the Chuo-ward in the Sapporo-city. The secret of its popularity is that not only the ingredients are directly delivered from the fishing area are super-fresh but they also offer their particular care about the freshness. They select the fresher ingredients with care among the products which they bought on the day and the skilled chef cooks them using a suitable cooking method. The price is reasonable for its larger sized toppings. They have enough ingredients in which you can taste the best seasonal flavour depending on the season and they have been gaining popularity with the locals. They regularly hold a fair and you can come across the [best ingredient at the best time]. Please visit Hokkaido and taste the best Hokkaidohas to offer. The [Nemro Hanamaru JR Tower Stellar Place-ten] is situated in the Sapporo JR Tower Stellar Place.It is a Conveyor-belt sushi restautant which has an endless queue. Many people visit there not only because of its good location but also because they are choosy about the taste. As the Nemuro in the restaurant’s name shows, the ingredients delivered from the fishing port are super fresh. If you have just one bite, you can understand it. There are the original sushi apparently on the Conveyor-belt sushi, but the melting fatty tuna, sweet squid and crunchy Ikura (salmon roe) are the stability of the [classic sushi] and that’s the secret of its popularity. 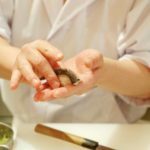 You can taste the unique ingredients at Nemuro, depending on the season though. You can enjoy the high standard as well as the local taste to the full. Please drop in at this restaurant on your holiday to Hokkaido! The [Nagoyaka-tei] which has its branches not only in Hokkaido but also in the Kansai area is very famous. 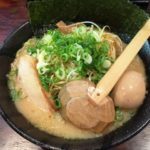 The Hassam-ten is located at the convenient place which is a 5-minute- walk from the Miyanosawa station on the Underground Tozai-line. 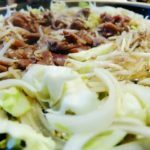 It has branches in Sapporo, Obihiro and Kushiro and even the locals who are used to the fresh products from the sea speak highly of this restaurant. The popular item at this restaurant is the [Kobore-series]. The [Ikura-kobore] is dished up on the warship container and some of it is dropping onto the plate. The fresh taste is incredible. You can’t ignore the ingredients such as soft cod-roe with the non-smelling creamy taste and the raw mackerel with thick fatty meat. You may want to visit there many times. The take away looks attractive and it is no wonder that the locals love this restaurant. 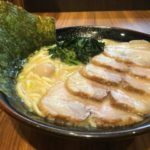 The [Katsuissen Minami 3-jo-ten] is located in the best location which is a 3-minute-walk from the Shiseikan Primary-school-mae station in the Sapporo-city. Even though it is a Conveyor-belt sushi restaurant, quite often they will accept the order individually. You can taste your favourite one among the wide selection of the ingredients. Besides, the price is kept down the same as the Conveyor-belt sushi price. There are many people who visit there frequently. The freshness is of course super and the rice has a good texture. You can also taste items from the unique menu which can’t generally be seen at the Conveyor-belt sushi restaurant. They offer a one-dish cooking using the ingredients from Hokkaido. Nonetheless it is a Conveyor-belt sushi restaurant and it is recommended to people who want to taste the fresh products from the sea in a calm atmosphere. It is situated at the place which is a 3-minute-walk from the Hosui-susukino station on the Sapporo Municipal Underground Toho-line. It is the restaurant where you can drop in casually on your own. It has the atmosphere for the locals rather than sightseers. The food is conveyed on the lane, but you can also order items just like in the general sushi restaurant. The one-dish cooking is also popular. The attraction of this restaurant is that you can enjoy yourself freely, tasting alcoholic drinks, nibbling snacks and tasting sushi. When you enjoy the standard sushi, the most popular one is the pickled mackerel. Some people have been trapped by its taste which has a balanced vinegar one. If you visit this restaurant, please try the pickled mackerel. The popular Conveyor-belt sushi, [Gourmet Conveyor-belt sushi Hakotarou] is situated near the Goryokaku Park in the Hakodate-city of Hokkaido. You can taste the sushi which the skilled chef who is so particular about sushi cooks. You can’t believe that this is a Conveyor-belt sushi. His preparedness to [cook Hakodate well] is understood as soon as you eat the ingredients of the wide selection. The fresh large toppings directly from the fish-market are placed on the small handful of rice with the body temperature. The sushi which is offered according to the fish which are bought on the day is truly the best time for eating! The home-made pickled mackerel is also large and tender. The shells of the shellfish should be removed just before eating them, so you can have the freshest ones which have just been removed from the shop. You can enjoy this cuisine leisurely in a private room. 7. The popular restaurant directly managed by the fresh fishmonger! The taste is no problem. [Conveyor-belt sushi Marukatsu-suisan] is a 4-minute-walk from the 2nd route Uoichibadori station on the Hakodate tram-line which goes along the Hakodate Bay area. As it is the directly managed restaurant by the well-known fishmonger locally, the quality of the ingredients is guaranteed! The larger sized toppings are filling and the original sticky rice and the flavour of the vinegar can’t be resisted. The set-menus are the [3-kan-mori] (3 pieces of sushi are on a plate) such as salmon-roe, sea-urchin and crab which is called the [Hokkai Sanko] (3 favourite products from the Northern Sea) and the [Nokke-mori] (the toppings are on the top of the rolled sushi). The best choice is ordering one of these set-menus as well as the hand-shaped sushi from the Conveyor-belt! The side dish like deep-fried dish menu also has some variety, but the price has been kept down. That is the attraction which only the Conveyor-belt sushi restaurant can achieve! The [Matsuriya Shinbashi-ten] is located at the place which is a 10-minute-ride in a car, or 20-minute walk from the Kushiro station on the JR Nemuro-line. The [Matsuriya] started off in Nemuro where the famous fishing port exists and has been developed in Kushiro. 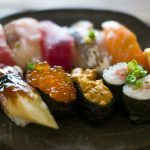 It has many branches in Hokkaido, but this restaurant is the head one and a lot of sushi lovers visit here. The clean looking restaurant has the counter-seats and the box-seats. It is the ordering-styled Conveyor-belt sushi restaurant, so it is recommended to the people who want to eat their favourite sushi promptly. The small handful of rice is hand-shaped firmly and it has the soft texture in the mouth which well matches with the fresh topping. The popular one is salmon. You can taste it in various ways, such as the Aurora-salmon (fatty one), the grilled one and the grilled one with garlic. I want you to taste the thick omelette which is cooked with care freshly after opening the restaurant each day. Also their side dishes have the wider selection just as the Conveyor-belt sushi restaurant is famous for. Please visit this famous restaurant of which Hokkaido is proud. 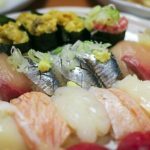 The [Toppi~ Otaru-ungadori-ten] provides the relaxing atmosphere for its customers to enjoy the Conveyor-belt sushi and so many local families and sightseers are attracted. 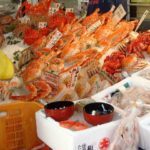 You can enjoy the abundant and fresh products from the Otaru home waters for a reasonable price. You can also taste the larger sized toppings. 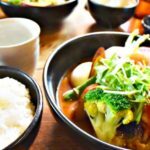 This restaurant is particular about not only the ingredients but also the rice produced in Hokkaido and the balance with the ingredients is perfect. 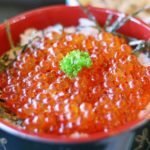 The fresh salmon-roe is crunchy, the salmon melts on the tongue and the seasonal ingredients as well as the side-menu have a wide selection. But, you’ll be pleasantly surprised by the price at the till. When you visit Otaru in Hokkaido on holiday, please visit this infallible Conveyor-belt restaurant. The [Waraku Otaru-ten] located in the middle of the sightseeing town, Otaru which is a 5-minute-rideIn a taxi from the Otaru station is a unique Conveyor-belt sushi restaurant, adopting the Kyoto garden atmosphere. It has been offering a role for the tourism in Otaru, illuminating its restaurant beautifully at night. 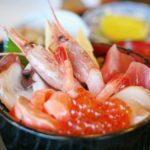 After enjoying the history of Otaru, you can relax tasting the local fresh products from the sea. You can enjoy not only fresh and rich ingredients but also the sushi which matches with the atmosphere. Even the locals say that they can taste the original flavour of each ingredient. The pickled salmon is the fine food in which its sweetness is condensed. The sea-urchin is odour-free and is full of sweetness. The engawa (Fluke Fin) is served as a thick meat slice. All those dishes have gained popularity with visitors. The melting taste and the attractive atmosphere is not like a Conveyor-belt sushi restaurant. Only Otaru can offer it! When you visit Otaru, please drop in at this restaurant! Let’s eat the delicious Conveyor-belt sushi in Hokkaido! What was your impression about this article? 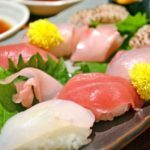 I’ve introduced the 10 recommended Conveyor-belt sushi restaurants where you can have the delicious sushi in Hokkaido. Hokkaido has been blessed with the fresh seafood which you can’t taste either in Tokyo or in Osaka. There are many other ingredients produced in this vast land. When you visit Hokkaido on holiday, please enjoy the Hokkaido gourmets until your heart and stomach are content.